Siemens are building a fleet of 100 electric vehicles for use and testing by employees. Called 4-S (4-Sustainelectromobility), the pilot project is focusing on the interplay between the electric cars and their infrastructure. Besides testing of the components, the project’s objective is to research and develop new business models. Siemens expects there will be more than one million electric cars on the road worldwide in the foreseeable future, when they will form part of a smart grid. The pilot project is divided into three stages and will initially be limited to the company locations in Munich and Erlangen. During the first stage, which will kick off in November, 20 vehicles will be given for testing to employees in southern Erlangen and in Munich’s Neuperlach district. The focus will initially be on testing the infrastructure. During the second stage, which is scheduled to commence in spring 2011, 15 electric vehicles will be equipped with a drive system developed by the Siemens Corporate Technology (CT) group and subsequently tested by employees. 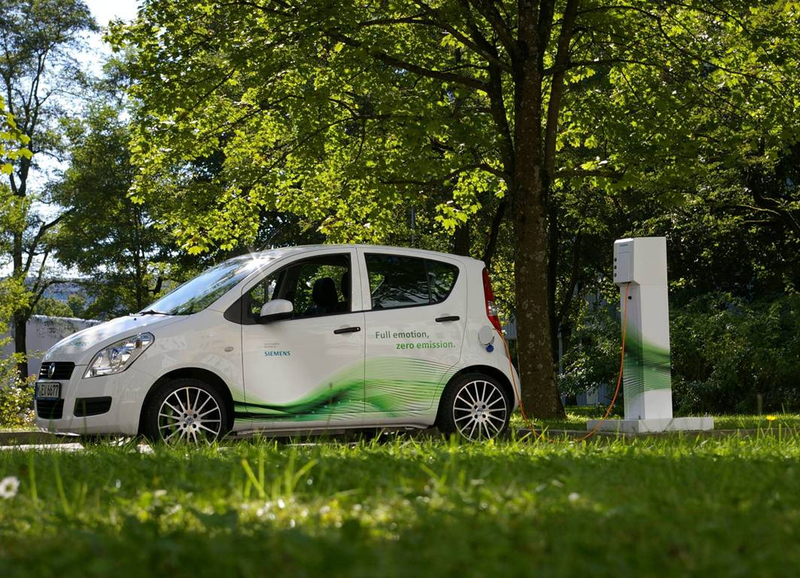 At the same time, Siemens will set up an in-house electric car-sharing system in Berlin. In the final stage, which is to start in fall 2011, the vehicles will be fitted with drive systems from the Industry Sector. The entire project is being managed by CT. The experience and insights gained by Siemens during this pilot project will be directly incorporated into the development of new components. The project’s aim is to find out how electric cars and the charging infrastructure can be best coordinated with one another. Siemens is also involved in a number of other pilot projects such as Harz.EE-mobility and Drive eCharged. The latter project is taking place in the Munich model region and is run in cooperation with BMW and the Munich municipal utility company SWM. A total of 40 electric MINI E cars have so far been issued to test drivers, who will use the vehicles in the Munich area for ten months. Siemens is providing the infrastructure for the private and public charging stations, and SWM is supplying the green electricity. Another focus of the project is to investigate the possibilities of fast charging with direct current, which would allow electric vehicles to be used for long distances of several hundred kilometers.